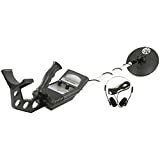 Garrett ACE 200i metal detector NEW!! Detecteur de metal Garrett ACE 200i Neuf!! 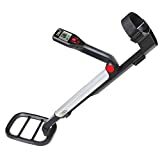 Metal detectors have been around for years, but in recent years, more people have caught onto purchasing them for personal use. Metal detecting is a great hobby for people looking to add some physical activity to their lives, and there have been a number of stories of people making important historical discoveries by using their metal detectors. While most users won’t get rich or find historical treasure with their metal detectors, they can still be fun and useful devices. If you’re thinking about purchasing a metal detector, here are a few things you should look out for. General purpose: General metal detectors are just that—devices that are designed to find a wide range of metals in the ground. Gold: For users who are just interested in finding buried gold, these detectors are set to ignore other metals that would otherwise be detected. Deep searching: These models are designed to detect far below the surface, helping users—usually professionals who have the digging equipment necessary to get to them—find more deeply buried metals. Detecting strength: This is the most common comment in review sections, for both good and bad reviews, since the detector needs to be able to pick up on metals more than a few inches below the surface to be worth the investment. With better models, that’s not a problem—they provide users with a wide range and depth of detection. Display: Once the detector finds something, it has to communicate the information to the user clearly. Great detectors do this with easy-to-read visual displays and clear, unambiguous sounds. Learning curve: As a piece of specialized equipment, it will take a bit of time to learn how to use a metal detector. Better models feature intuitive controls that users are able to learn quickly. Instructional materials: This is related to the learning curve. Smart companies make sure to provide users with a variety of simple, straightforward instructional materials, including clearly-written manuals and videos, to help users get up to speed. Discrimination: This is an important quality for metal detectors. You’ll want to purchase a model that can discriminate clearly between different kinds of metals, so you don’t end up wasting your time on worthless scraps. Depth: Be sure to check the detector’s technical specifications and pick one that can detect items to an appropriate depth—you don’t want it to be so shallow as to be useless, but at the same time, unless you’ve got the time and equipment to do serious digging, you probably don’t need an industrial detector that can detect metals far beyond your desired depth. Display: Look for a model that will give you a display (whether in terms of sound, or a visual display) that will be easy for you to understand. 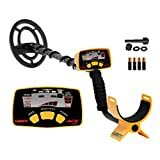 Accessories: Check out what the detector comes with—some offer things like instructional DVDs, headphones, digging tools, and other extras—and pick one that comes with the items you need and think you’ll use. 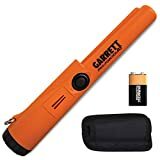 Garrett: Garrett is an American producer of metal detectors and related accessories. 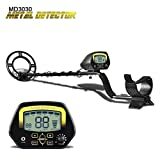 Founded in 1964, the company produces a wide range of metal detectors for a variety of uses, from metal detecting as a casual hobby to industrial military mine detection. Bounty Hunter: Bounty Hunter is an American company that produces an array of metal detectors and accessories for hobbyists and professionals alike. Fisher: Gerhard Fisher, who received the first metal detector patent, founded Fisher Labs in 1931. Today, his company produces metal detectors (and other detection devices) for amateur treasure hunters, police and security firms, and utilities companies. Tesoro: Tesoro is an American company that has been manufacturing metal detectors since 1980. 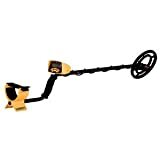 The company offers an array of metal detectors and accessories for a variety of uses and users.